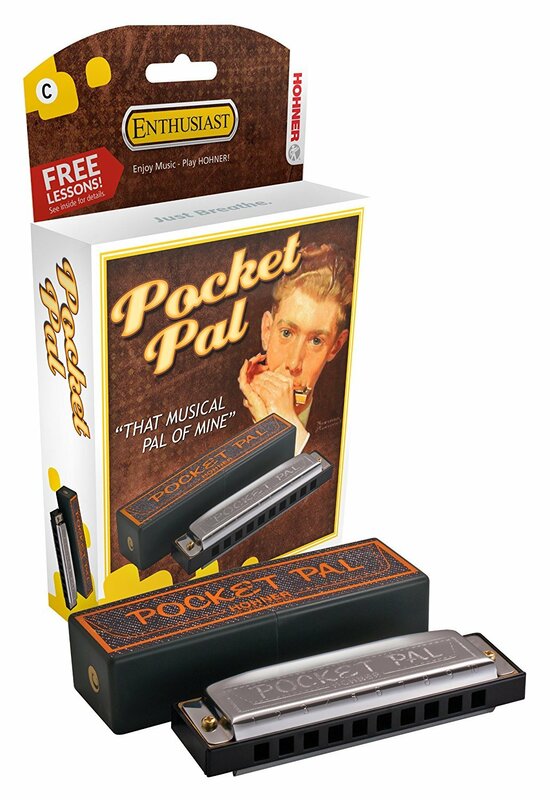 A great harmonica to start off anyones musical career. Featuring all brass reeds and a plastic molded comb with 10 holes, this harmonica has everything needed to achieve great tone and response. Perfect for all styles of music. The Pocket Pal comes with a plastic case (so you can slip it into your pocket), an illustrated instructional guide, and one song.